Prototype: Class 41 steam freight locomotive with a tender. 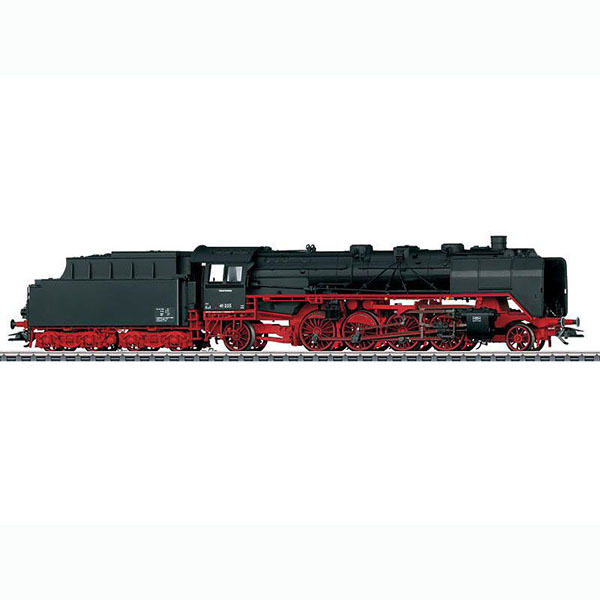 German Federal Railroad DB older design version, with Wagner smoke deflectors, older design boiler, type 2´2´T34 standard design box-style tender, German State Railroad lanterns, without inductive magnets and with buffer plate warning stripes. Road number 41 255. The locomotive looks as it did around 1951.